Yn gynharach yn 2014, datganwyd Adolygiad o Lywodraethu o Dirweddau Dynodedig yng Nghymru gan Banel annibynnol. gan John Griffiths, y Gweinidog Llywodraeth Cymru ar gyfer Parciau Cenedlaethol. Focws y Panel fydd, ymhlith pethau eraill, dynodiad sengl ar gyfer Parciau Cenedlaethol ac AHNE. – sicrhau y gall pawb fwynhau’r Parciau Cenedlaethol a Thirweddau Gwarchodedig eraill, yn awr ac yn y dyfodol, gan gynnwys trigolion, gweithwyr ac ymwelwyr â’r Parciau. Bydd yr ymgyrch yn parhau i ddatblygu a chodi ymwybyddiaeth ar bob lefel o’r heriau sy’n wynebu ein Parciau Cenedlaethol yn sgil newidiadau i ddeddfwriaeth ac ailstrwythuro darpariaeth gwasanaethau cyhoeddus. • Un Ddyletswydd Statudol newydd sy’n dileu’r rhagddodiad “gydag ystyriaeth o” gwan yn nyletswyddau presennol cyrff cyhoeddus perthnasol, a gosod un ddyletswydd glir: “I gyfrannu at wireddu tri Phwrpas Tirluniau Dynodedig Cenedlaethol”. Mae Cymdeithas Eryri’n croesawu’r cynigion, ond rydym yn hyderus y dylai’r Pwrpas o ran Cadwraeth gynnwys cadwraeth natur yn benodol, ac y dylai’r Pwrpas Lles Pobl gyfeirio’n benodol at fwynhad tawel. Mae Cymdeithas Eryri wedi cyflwyno ymateb i Ran 1 yr adolygiad pwysig hwn, ac wedi pwysleisio fod ein Parciau Cenedlaethol yn llwyddo a bod angen eu datblygu ymhellach yn hytrach na’u hailstrwythuro’n llwyr. Rydym yn dadlau dros gadw ‘brand’ dynodiad y Parc Cenedlaethol a gydnabyddir yn rhyngwladol, ac rydym yn mynnu fod rhaid i Barciau Cenedlaethol gadw eu statws fel awdurdodau cynllunio. Mae ein hymateb yn amlygu cyfleoedd am drydydd diben – cefnogi lles y bobl sy’n byw ac yn gweithio o fewn y Parciau Cenedlaethol. Rydym yn amlygu’r angen i gynnal yr egwyddor fod gwarchod rhinweddau arbennig ein Parciau o’r pwys mwyaf. Trowch at ymateb Cymdeithas Eryri. Welsh Government published the terms of reference for the review of governance of National Parks shortly after the September reshuffle. The review panel has called for evidence in two stages and will report to the new Minister for Natural Resources, Carl Sargeant. The first section of the review looks at the designation and purposes of protected landscapes, including National Parks and Areas of Outstanding Natural Beauty. Submissions have to be made by early November 2014, and the Alliance for National Parks Cymru has been busy drafting strategic evidence which represents the views of National Park societies like ours, CPRW, AONBs and other bodies. The Alliance’s evidence will point the way towards a unified approach to protected landscapes and seascapes, investigate the arguments for refreshing the purposes and duties of National Park Authorities, and look at alternative models for Protected Landscapes, drawing on experiences from elsewhere in the UK and further afield. As well as feeding into the Alliance’s strategic work, the Snowdonia Society is also submitting its own ‘local’ evidence, which will focus much more closely on our own National Park. It is impossible to engage in this work without reference to other Welsh Government legislation. The ‘Well-being of Future Generations’ bill is being drafted to enact work on what was previously referred to as ‘sustainable development’. Sustainable development is a useful concept which has been damaged and undermined by loose thinking. In common with many other organisations the Alliance will be asking that proper definitions and the concept of environmental limits be built into this bill. It can be hard to see the relevance of this work. But National Parks do a vast amount of work on ‘well-being’ and could be used as a blueprint for developing more sustainable approaches to development which bring huge benefits to the environment, to landscape and wildlife, and to people. This will only happen if we make sure the legislators are made aware of this role which National Parks and AONBS have been developing for decades. 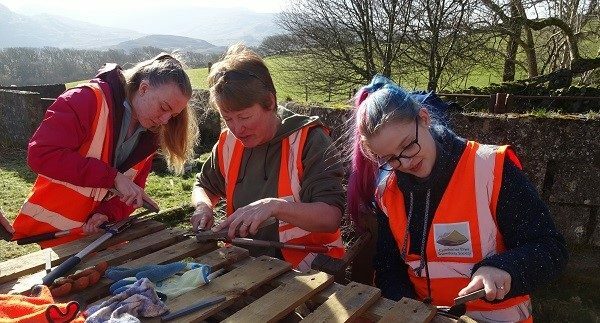 With the September reshuffle in Welsh Government, National Parks and other protected landscapes such as AONBs have fallen under the control of the new Minister for Natural Resources, Carl Sargeant. Welsh Government officials are still awaiting ministerial clearance to publish the terms of reference for the review of the governance of National Parks. We believe that written and oral evidence will be gathered by December, and that the first stage of the Review will be completed by February, and we hope and expect that the Alliance will be one of the organisations to give oral evidence, which it is currently drafting. evaluating the composition of National Park Authorities, with attention to the potential of direct elections and local members coming from wards within the Park. There is strong support for retaining the ‘national’ representation on Park Authorities, as this ensures that wider considerations, beyond local politics, are heard in the way our National Parks are run. developing detailed input to the evolving Wellbeing of Future Generations Bill, which will frame Welsh Government’s approach to sustainable development. The Alliance’s work will draw attention to the need for the Bill to adopt a crystal clear definition of sustainable development which embodies the concept of environmental limits. submitting evidence to the Business and Enterprise Committee’s Inquiry into the Tourism Industry highlighting the importance of the Protected Landscapes to that industry. The Alliance liaised with the Wales Tourism Alliance over their evidence. holding high level meetings with representatives from industry bodies (including tourism and farming representatives) and campaigning organisations to align our responses and input to Welsh Government where that is possible. Activities since the inaugural meeting on 30th April. There has been a constant monitoring programme of National Assembly and Welsh Government activity as it relates to Protected Landscapes with appropriate interventions as the occasion has demanded (see below). The Executive Group (representatives of the three National Park Societies, CPRW and the National Association of Areas of Outstanding Natural Beauty) met on 4th June to discuss the situation and another meeting is scheduled for 29th July when the main item will be the preparation of draft position papers for consideration at the full Alliance meeting on 24th September. These will include the draft of evidence to be submitted in response to the Review announced by John Griffiths on 3rd June. The Alliance submitted evidence to the Business and Enterprise Committee’s Inquiry into the Tourism Industry highlighting the importance of the Protected Landscapes to that industry and the imperative that this continue to be recognised through specialised local management and suitable policies. The Alliance liaised with the Wales Tourism Alliance over the submission of their evidence. The WTA continues to be supportive of the Alliance’s position. The Alliance provided a copy of the latter evidence to William Powell AM prior to his debate on National Parks. Jim Wilson has subsequently had a surgery meeting with him. A meeting has been held with representatives of the AONBs in Wales (Paul Loveluck and Edward Holdaway attending with Howard Davies chairing) to explain the aims of the Alliance and hopefully to begin the process of involving the AONBs in its work. Meetings have been held with the NFU (Paul Loveluck, Peter Heard and Edward Holdaway attending) and CLA (Paul Loveluck and Peter Ogden attending) to discuss their positions in respect of the Government’s consultation on planning. There will be further discussions and a meeting of minds could well be possible especially against the likelihood of much larger local authority planning authorities emerging when the Government responds to the Williams’ Commission in which the voice of the farming industry may not be as great as now. Meetings with the FUW and FSB have yet to be arranged. Paul Loveluck gave an interview to Sally Williams of the Western Mail on the work of the Alliance which was covered in an extensive article on 6th May. David Thomas has had a meeting with the BBNPA to discuss its experience in the use of social media with a view to developing this avenue for the Alliance. Peter Heard has continued the work to develop a satisfactory website for the Alliance. At the invitation of the Chairs of the National Park Authorities, Paul Loveluck joined them, their Deputies and the Chief Executives at one of their regular meetings to discuss the work of the Alliance. The NPAs are very supportive of what we are seeking to do and the tone we are setting which is to seek through discussion with all interested parties a sensible outcome to the Government’s proposals which safeguards the position of our Protected Landscapes. Jim Wilson attended the John Muir Conference in Perth and has prepared a report on the planning (differing) roles of the two Scottish National Parks. A version of this has been sent to the senior officials in the various Government Departments which have an interest in Protected Landscapes. Jim’s conclusions will feature in the draft papers to be presented on 24th September. Paul Loveluck and David Archer attended the CNP council meeting. In the context of a panel discussion of the impact of devolution, the role the Alliance was playing was explained. And re-assurance given that ‘we were here to stay’. There seems to be a recognition that CNP will have to re-position itself and there will be a meeting of CNP Trustees later this month which will be discussing this and the Interim Protocol we tabled with them in April suggesting how the relationship between CNP and the Alliance might work. There are currently no less than three areas of serious concern for the future of Snowdonia and the other National Parks and protected landscapes in Wales. The Heritage Bill to be introduced to the National Assembly in Spring 2015. The First Minister is expected to make a statement, following on from the Williams Commission report, about the merging of local authorities in Wales in early July, and this may well influence proposals for delivering the planning system in the Planning Bill. This is, of course, of critical concern to the National Park Authorities; without planning powers, they will be powerless to prevent inappropriate developments. The Minister with responsibility for National Parks, John Griffiths, has recently given more details of the independent review of the governance of Wales’ designated landscapes (National Parks and AONBs). As well as considering the purposes of National Parks and AONBs, the review will consider the possibility of a single designation for National Parks and AONBs, and will look at alternative governance arrangements. No details of the Chair or membership of the Review Commission are yet available. Up until the new year the Commission will be considering the issue of a single designation and reviewing the purposes for National Parks and AONBs including whether the purposes of both could be unified; one danger is that this could lead to a watering down of the National Park designation. The government’s intentions in its legislative and policy work are still unclear and may remain so for some time yet. We can expect a mixed bag of legislation and policy reviews affecting National Parks over the coming months. However the government’s actions are only too clear. 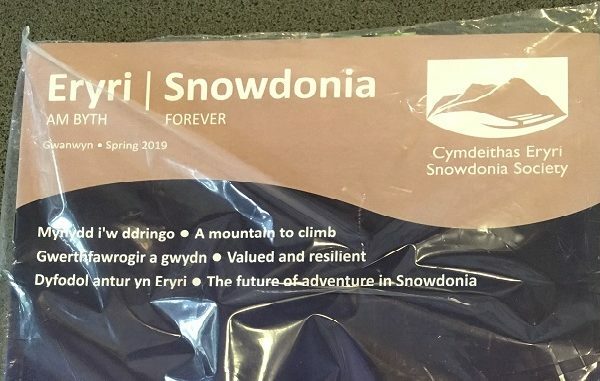 With 13.9% as a minimum budget cut, and further cuts likely this year, Snowdonia National Park Authority’s ability to deliver its core functions is being surgically removed. Seen in this light our National Parks need advocates who can speak up for them. The apprehension about what might emerge has prompted the setting up of the Alliance for National Parks Cymru and the campaign ‘National Parks Matter’. The campaign, for the time being, is concentrating on advocacy and influencing key players. But if we need to raise a more public profile for these issues, the campaign will be opened out. The key partners of the Alliance – the Snowdonia Society, the Brecon Beacons Park Society, Friends of Pembrokeshire Coast National Park, CPRW and the National Association for AONBs – are working together very closely, and at the end of July will meet to formulate a response to the review of designated landscapes. In particular, it will consider the major issues including a single designation, new purposes and duties, direct elections, the role of Natural Resources Wales, and alternative National Park models. The Snowdonia Society’s Director and the Chair of the Trustees attend these meetings and we will keep you, as members, informed as matters develop. Yn ddiweddar, John Griffiths, Gweinidog Llywodraeth Cymru ar gyfer Parciau Cenedlaethol wedi cyhoeddi Adolygiad o Lywodraethu o Dirweddau Dynodedig Cymru gan banel annibynnol. Bydd y Panel yn edrych ar, ymhlith pethau eraill, dynodiad sengl ar gyfer Parciau Cenedlaethol ac AHNE. Rydym yn aros i glywed aelodaeth a chylch gorchwyl y Panel. – cynrychiolwyr pob AHNE Cymru. Ni phenderfynwyd eto a fydd Awdurdodau Parciau Cenedlaethol yn cadw eu pwerau cynllunio, ac mae’r Cynghrair yn ymgyrchu’n galed i sicrhau bod y swyddogaeth gynllunio yn aros o dan reolaith Awdurdodau’r Parciau.